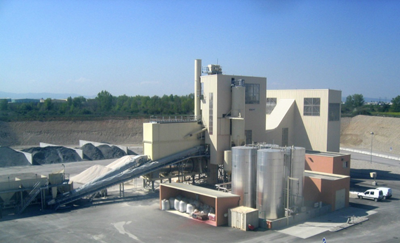 Asphalt is produced in an asphalt plant. This can be a fixed plant or even in a mobile mixing plant. It is possible to produce in an asphalt plant up to 800 tons per hour. 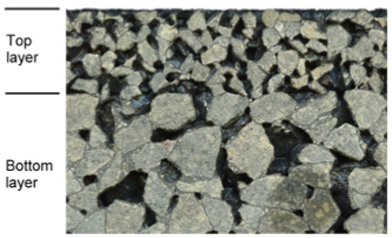 The average production temperature of hot mix asphalt is between 150 and 180°C, but nowadays new techniques are available to produce asphalt at lower temperatures. (See below). To be able to provide the best performance to different applications, a large variety of asphalt mixes can be used. Due to the different requirements (amount of traffic, amount of heavy vehicles, temperature, weather conditions, noise reduction requirements, etc.) the respective mix used needs to have an sufficient stiffness and resistance to deformation in order to cope with the applied pressure from vehicle wheels on the one hand, yet on the other hand, they need to have an adequate flexural strength to resist cracking caused by the varying pressures exerted on them. Moreover, good workability during application is essential in order to ensure that they can be fully compacted to achieve optimum durability. A typical WMA is produced at a temperature around 20 – 40 °C lower than an equivalent Hot Mix Asphalt. Less energy is involved and, during the paving operations, the temperature in the mix is lower, resulting in improved working conditions for the crew and an earlier opening of the road. Cold mixes are produced without heating the aggregate. This is only possible, due to the use of a specific bitumen emulsion which breaks either during compaction or during mixing. After breaking, the emulsion coats the aggregate and over time, increases its strengths. Cold mixes are particularly recommendable for lightly trafficked roads. An asphalt pavement consists of different asphalt layers. 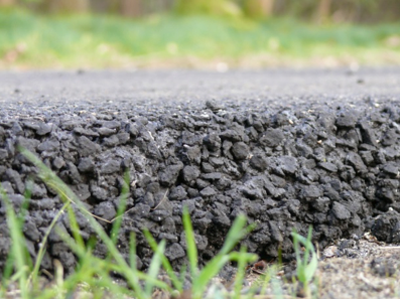 In general the asphalt layers are paved on a bound or unbound road base layer. Starting at the road surface, the first layer is called the surface course. The second layer is mostly called the binder course. The lower layers are the base courses. Binder courses are designed to withstand the highest shear stresses that occur about 50 – 70 mm below the asphalt surface. The binder course is therefore placed between the surface course and base course to reduce rutting by combining qualities of stability and durability. Stability can be achieved by sufficient stone-on-stone contact and stiff and/or modified binders. The base course is perhaps the most important structural layer of the pavement, which is intended to effectively distribute traffic and environmental loading in such a way that underlying unbound layers are not exposed to excessive stresses and strains. This often implies comparatively high stiffness of the base course. Next to this the base course should also show adequate fatigue resistance. Since the formation and sub-soil often constitute relatively weak materials, it is of utmost importance that the damaging loadings are effectively eliminated by the layers above. In this case, unbound road-base or sub-base layers consisting of uncrushed or crushed aggregate can be suitable. …asphalt is sometimes referred to as a flexible pavement. This is due to its ability to largely resist the stress imposed by slight settlements of the subgrade without cracking. 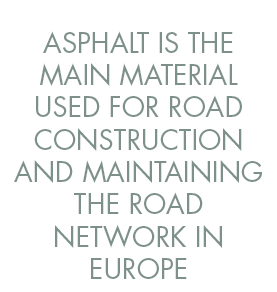 …asphalt is the predominant material used for road construction and maintaining the road network in Europe? …25% of the total world asphalt production takes place in Europe? …the average amount of bitumen used in asphalt is 5% by weight? …Europe has over 2.500 asphalt production sides and over 9.500 companies are involved in the asphalt production and / or laying? … some people still talk about tarmac of tarring a road. Since the 1990’s tar is not used anymore in road building. … tar is totally different from bitumen. They are both black, but tar comes from coal and bitumen from heavy crude oil. 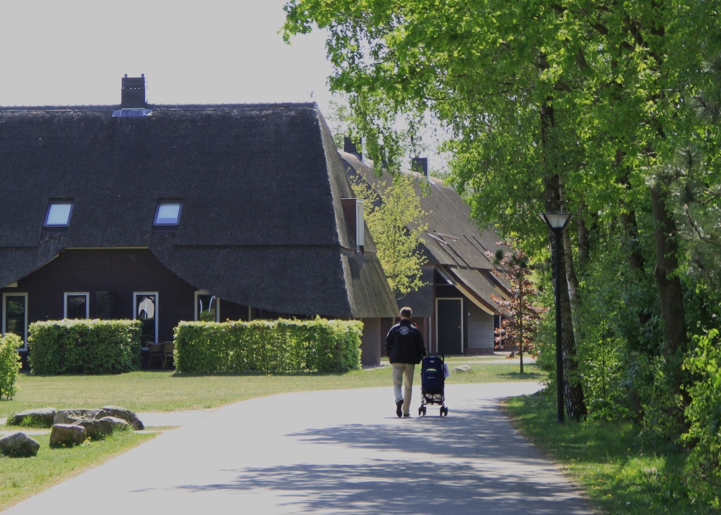 …Europe has over 2.500 asphalt production sides and over 9.500 companies are involved in the asphalt production and / or laying?… some people still talk about tarmac of tarring a road. Since the 1990’s tar is not used anymore in road building.